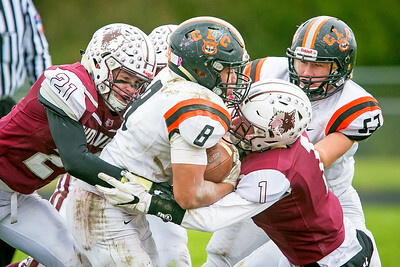 Daryl Quitalig - For Shaw Media Crystal Lake Central running back Braden Bisram (8) is tackled by Prairie Ridge linebacker Joe Perhats (21) and defensive back Drew Norton (1) in the second quarter of an IHSA Playoff Class 6A football game at Prairie Ridge High School Saturday, Oct. 28, 2017. The Wolves won, 61-24. 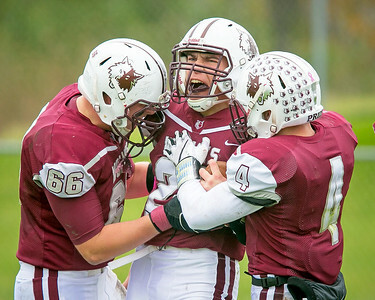 Daryl Quitalig - For Shaw Media Prairie Ridge quarterback Samson Evans (22) celebrates a 55-yard touchdown run with Justin Grapenthin (66) and Jackson Willis (4) in the first quarter of an IHSA Playoff Class 6A football game at Prairie Ridge High School Saturday, Oct. 28, 2017. The Wolves won, 61-24. 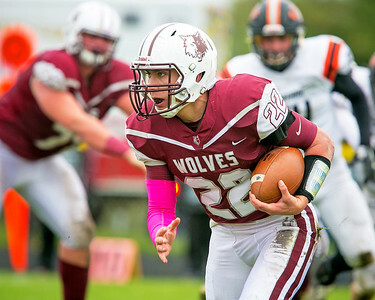 Daryl Quitalig - For Shaw Media Prairie Ridge quarterback Samson Evans (22) runs the ball in the fourth quarter of an IHSA Playoff Class 6A football game at Prairie Ridge High School Saturday, Oct. 28, 2017. The Wolves won, 61-24. 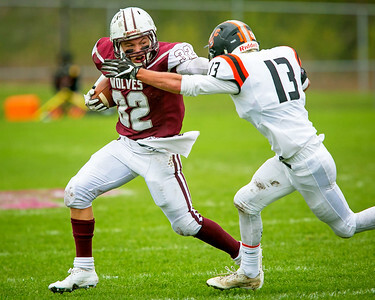 Daryl Quitalig - For Shaw Media Prairie Ridge running back Zach Gulbransen (32) stiff arms Crystal Lake Central's Richard Logan (13) on a run in the first quarter of an IHSA Playoff Class 6A football game at Prairie Ridge High School Saturday, Oct. 28, 2017. The Wolves won, 61-24. 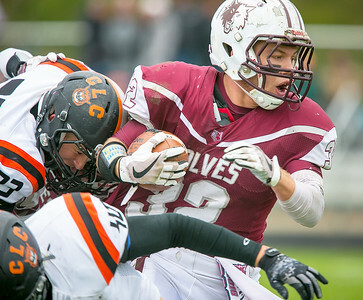 Daryl Quitalig - For Shaw Media Prairie Ridge running back Zach Gulbransen (32) runs the ball for a 62-yard touchdown in the first quarter of an IHSA Playoff Class 6A football game at Prairie Ridge High School Saturday, Oct. 28, 2017. The Wolves won, 61-24. 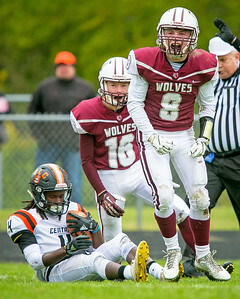 Daryl Quitalig - For Shaw Media Prairie Ridge Kyle Koelblinger (8) celebrates after a quick tackle on Crystal Lake Central kick returner Daniel Manning's (4) kickoff return in the first quarter of an IHSA Playoff Class 6A football game at Prairie Ridge High School Saturday, Oct. 28, 2017. The Wolves won, 61-24. 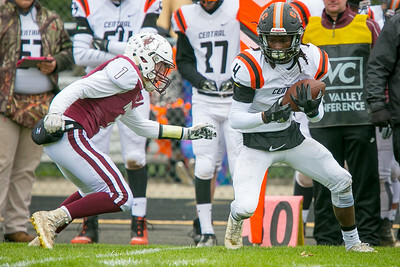 Daryl Quitalig - For Shaw Media Crystal Lake Central receiver Daniel Manning (4) makes a reception in the first quarter of an IHSA Playoff Class 6A football game at Prairie Ridge High School Saturday, Oct. 28, 2017. The Wolves won, 61-24. 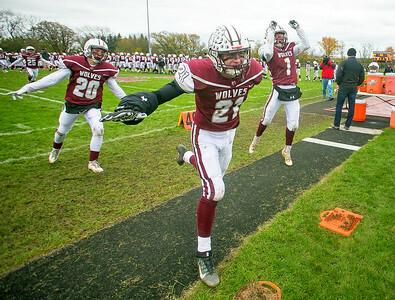 Daryl Quitalig - For Shaw Media Prairie Ridge's Joe Perhats (21), Drew Norton (1) and Justin Mikolajczewski (20) rush awaiting fans after their 61-24 victory over Crystal Lake Central in an IHSA Playoff Class 6A football game at Prairie Ridge High School Saturday, Oct. 28, 2017. The Wolves won, 61-24. 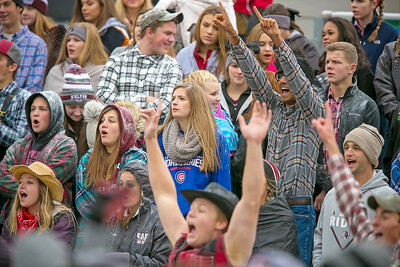 Daryl Quitalig - For Shaw Media Prairie Ridge fans celebrate a blocked Crystal Lake Central punt attempt in the second quarter of an IHSA Playoff Class 6A football game at Prairie Ridge High School Saturday, Oct. 28, 2017. The Wolves won, 61-24. 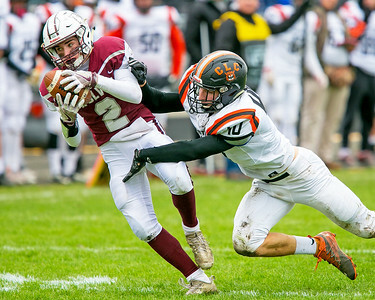 Daryl Quitalig - For Shaw Media Prairie Ridge running back Adrian Rendon (2) catches a 25-yard pass in the second quarter of an IHSA Playoff Class 6A football game at Prairie Ridge High School Saturday, Oct. 28, 2017. The Wolves won, 61-24. Daryl Quitalig - For Shaw Media Crystal Lake Central's Jacob Staples (1) passes the ball to running back Braden Bisram (8) in the first quarter of an IHSA Playoff Class 6A football game at Prairie Ridge High School Saturday, Oct. 28, 2017. The Wolves won, 61-24. 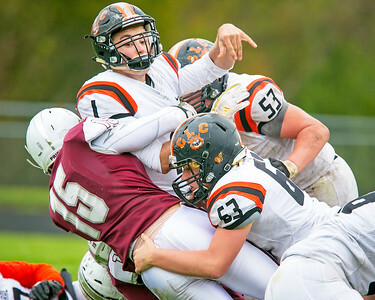 Daryl Quitalig - For Shaw Media Crystal Lake Central quarterback Jacob Staples is engulfed by Prairie Ridge defensive lineman Zach Orr (15) on a pass attempt in the fourth quarter of an IHSA Playoff Class 6A football game at Prairie Ridge High School Saturday, Oct. 28, 2017. The Wolves won, 61-24. 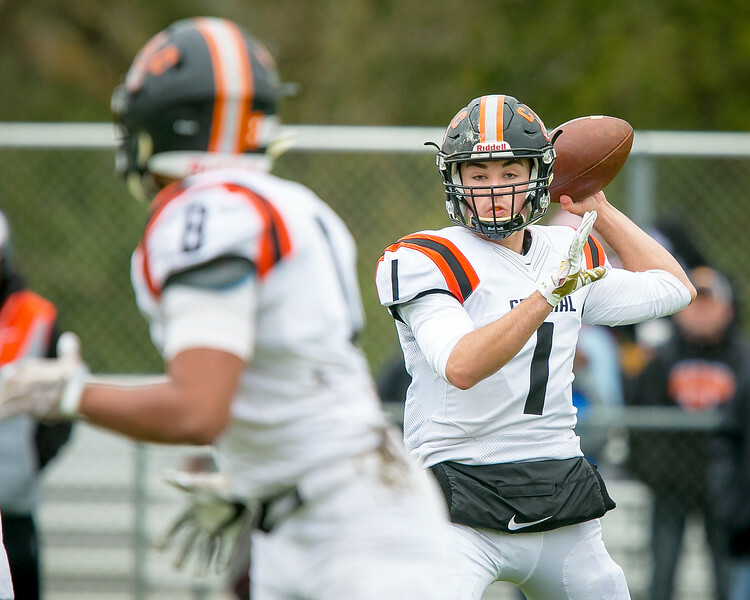 Crystal Lake Central's Jacob Staples (1) passes the ball to running back Braden Bisram (8) in the first quarter of an IHSA Playoff Class 6A football game at Prairie Ridge High School Saturday, Oct. 28, 2017. The Wolves won, 61-24.